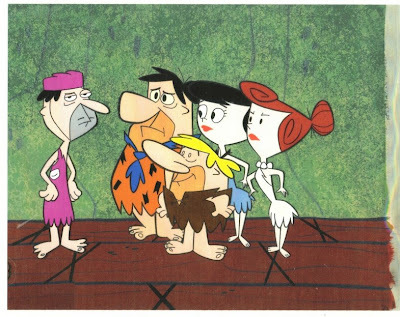 I was just talking about FLINTSTONES ON THE ROCKS the other day and my son found this image in my collection tonight! This is the BEST look for the characters since the original first few seasons of the series! Brian Mariotti was kind enough to send me the NEW FLINSTONES FUNKOVISION figure set based on the classic CRAIG KELLMAN designs. LOVE them! I HIGHLY RECOMMEND these. 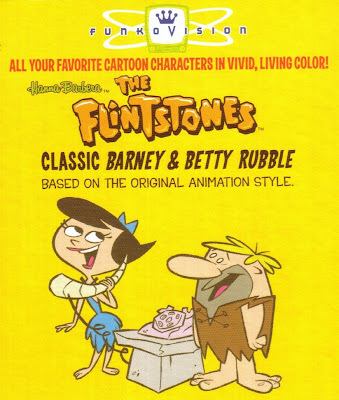 Why isn't FLINSTONES ON THE ROCKS out on DVD? That was also based on the KELLMAN designs and featured a GREAT Stop-motion segment animated by www.screen-novelties.com and my pals SEAMUS & MARK! 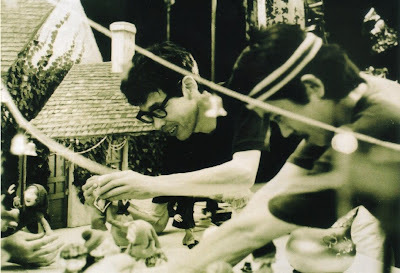 Hirokazu Minegishi & Hiroshi Tabata make ANIMAGIC on the set of THE LEPRECHAUN'S CHRISTMAS GOLD! We offer a collector's DVD of that special! Talking more about my RANKIN/BASS TREASURY book with the publisher Friday! 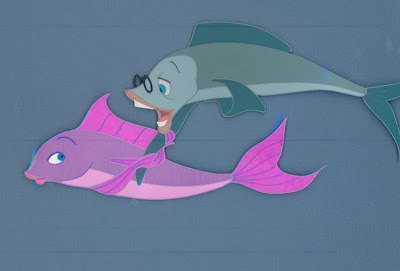 What a GREAT WARNER BROTHERS animated film this was starring DON KNOTTS! 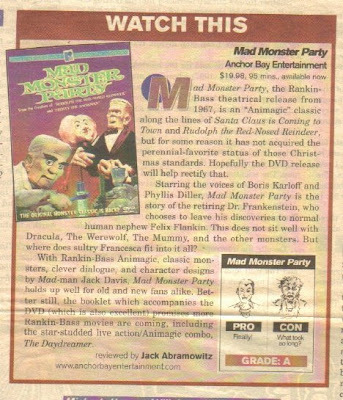 Had many of the same qualities of RANKIN/BASS PRODUCTIONS including PAUL FREES as Crusty! Have some cool things up on EBAY right now under seller ANIMAGIC1 and MISER BROS. Let me know if there is anything you want to combine pay for...I do combine shipping and work deals on bigger orders. THANKS! I have two extra tickets for the CHICAGO CUBS VS. PITTSBURGH PIRATES game this Sunday for sale. E-mail: Rickgoldsc@aol.com They are in the RESERVED TERRACE section. I can arrange to meet you at WRIGLEY FIELD or you can pick up in WRIGLEYVILLE before hand. All 3 of my CDs are available now. You can actually order them directly from me by e-mailing Rickgoldsc@aol.com My first CD is available at ITUNES, AMAZON.COM, CDBABY.COM, RANKINBASS.COM and a few other places. TONY AMATO/AMATO IMAGE DESIGN did these wonderful covers and I also have DAVID SHELDON and PATRICK OWSLEY to THANK for the art and logos! We plan on playing BORDERS BOOKS & MUSIC in Schaumburg, IL April 25th and the GIN BLOSSOMS are playing Schaumburg, IL the last day of the month as well...check http://www.ginblossoms.net/ THANKS for your support! 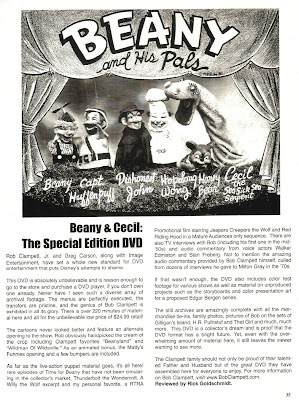 Here is a review I wrote for ANIMATION BLAST Magazine some years ago on the EXCELLENT BEANY & CECIL DVD! Have been waiting years for a Volume two! Hope to see VOLUME 2 soon! Click to read. LEO & the MO'C Boards! I am picking up a skateboard or two designed by my friend MITCH! Talking about the RANKIN/BASS TREASURY BOOK today!